Lyveden New Bield (sometimes called New Build) is an unfinished summer house, constructed for Sir Thomas Tresham. The exact date is unknown but can be estimated to circa 1604–05, the year of Tresham’s death. 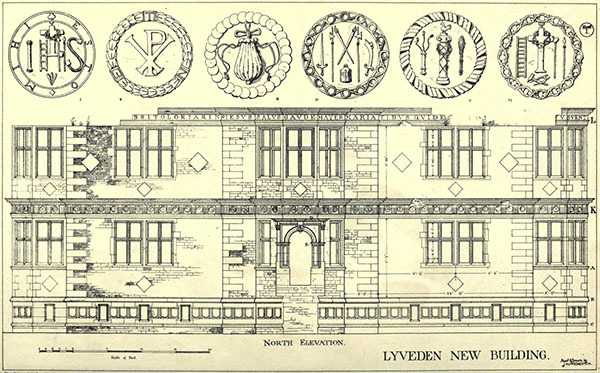 The New Bield was on the estate of Tresham’s second home Lyvedon Old Bield. Just as at Tresham’s smaller folly Rushton Triangular Lodge, his principal estate, the New Bield has a religious design full of symbolism. Designed on a plan reminiscent of a Greek cross, the facades have a strict symmetry. The building has two floors above a raised basement, with mullioned and transomed windows. 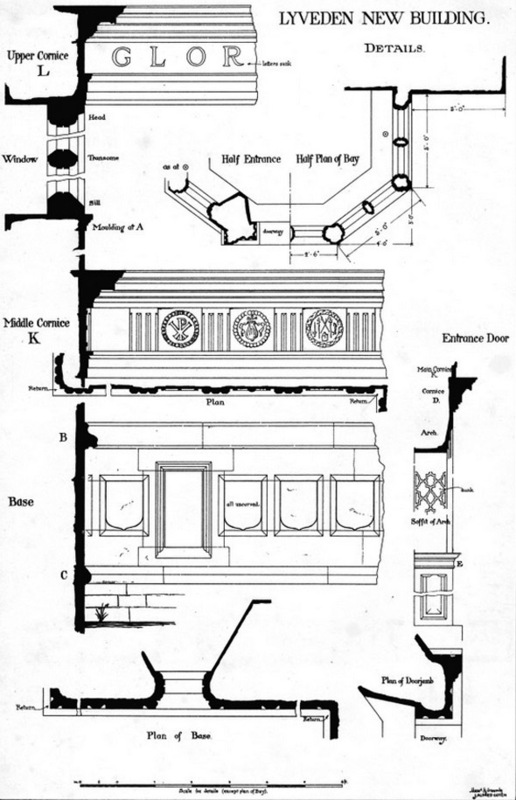 Each floor had three rooms with a staircase in the south projection of the cross. The exterior of the building is decorated by friezes of a religious nature. The metopes contain the emblems and motifs found also at the triangular lodge, such as the “IHS” christogram. Sir Thomas had grand plans but he suffered significant persecution for his Catholic faith and even spent time in prison over his beliefs. When he died in 1605 his son Francis could not finish the project – Francis played a role in the Gunpowder Plot and ended his days in the Tower of London. Illustration published in The Building News, February 4th 1881.